I loved Delia Ephron's The Lion is In so much I put it on my short list of books I wished were movies. I won't have to do that with her latest book, Siracusa, as the novel, released July 12th, was optioned by Working Title back in March. A director is already lined up; Alfonso Gomez-Rejon who recenlty helmed the adaptation of Me and Earl and the Dying Girl. The book takes place on the island of Sicily, on the Ionian Sea so the 'sun-drenched' locale seems set in stone. I love movies that show us the world, and Siracusa, full of Greek influence, sounds like a special place to see. All that's left is the casting. I can't wait to start reading! Here's the rundown on the book—already named one of New York Magazines top 100 beach reads. A new twitter acquaintance @BooksandTunes tweeted this quote from the book! "There are some people who dump all their misery into marriage, make wedded bliss their neurotic nest, & the best version of them lives outside that ugly place." Oh God! On a bad day, that's a lot of us. 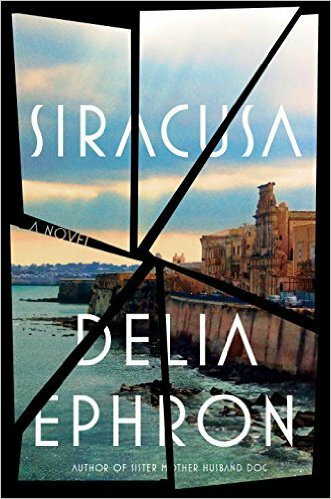 Have you read Siracusa yet? Who would you cast as the famous author Michael and his journalist wife Lizzie?